RUTLAND—The Rutland Region Chamber of Commerce announced at its annual meeting on Wednesday Oct. 29 that Ron Cioffi, executive director and CEO of the Rutland Area Visiting Nurse Association & Hospice (RAVNAH), is the Chamber’s choice for 2014 Business Person of the Year. Cioffi was presented the award by Congressman Peter Welch, Rutland City Mayor Chris Louras and Chamber officials. In 2013 RAVNAH served 2,589 clients, making 92,168 visits to residents in Rutland County. A major employer, RAVNAH employs 342 people, with 287 in Rutland and another 55 in Bennington, due to the recent merger with Bennington’s Visiting Nurse Association, which joined the larger RAVNAH family on Oct. 1. Donahue gave a brief presentation on the Chamber’s accomplishments over the past year and upcoming projects. 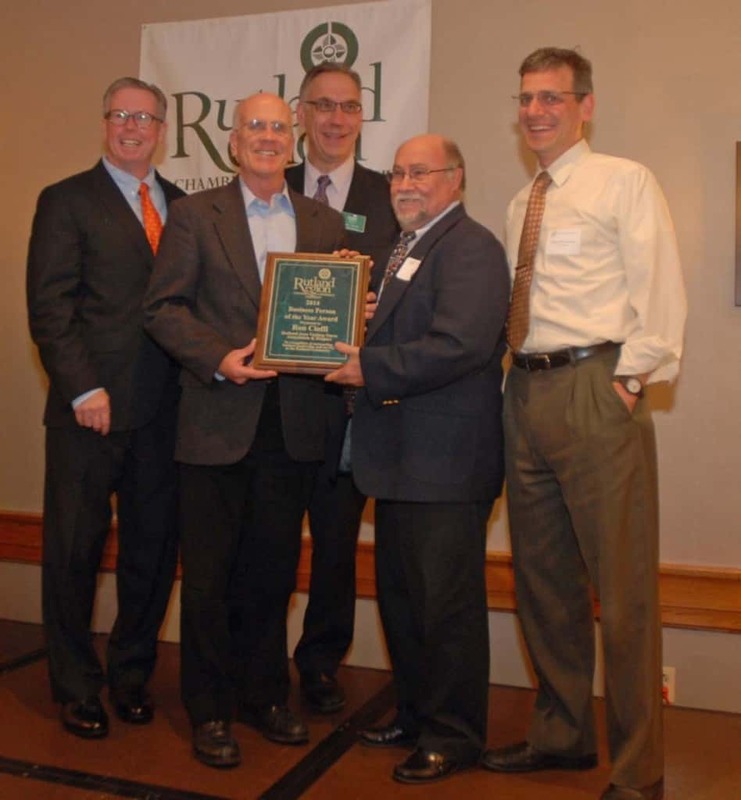 Ron Cioffi, RAVNAH’s executive director and CEO, receives the Business Person of the Year Award from the Chamber’s Executive Vice President and CEO Tom Donahue, Chamber President Dave Correll, Congressman Peter Welch and Rutland City Mayor Chris Louras.